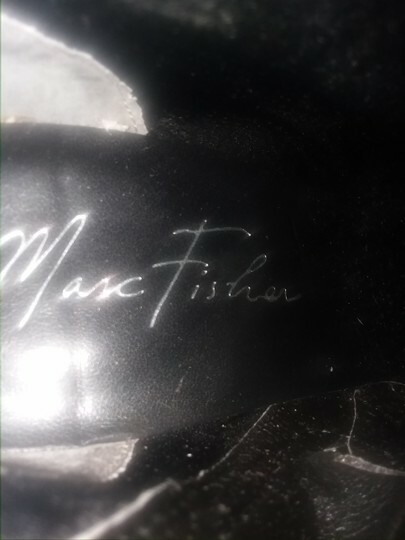 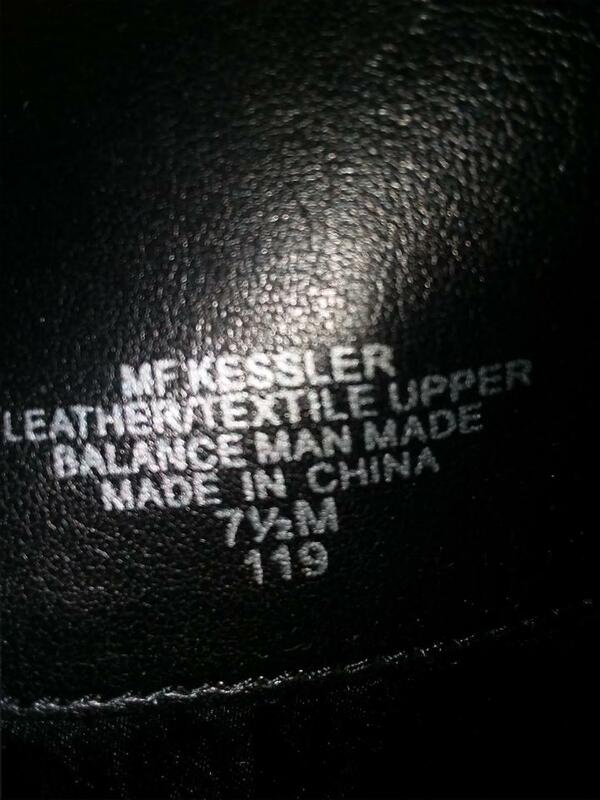 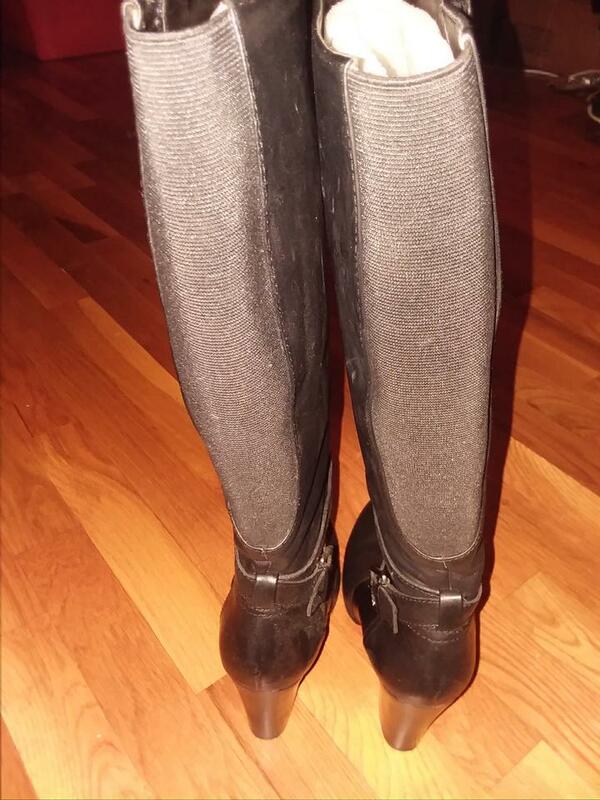 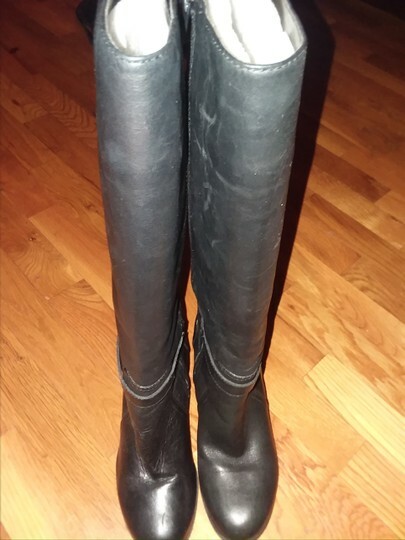 These Mark Fisher leather boots are in great condition. 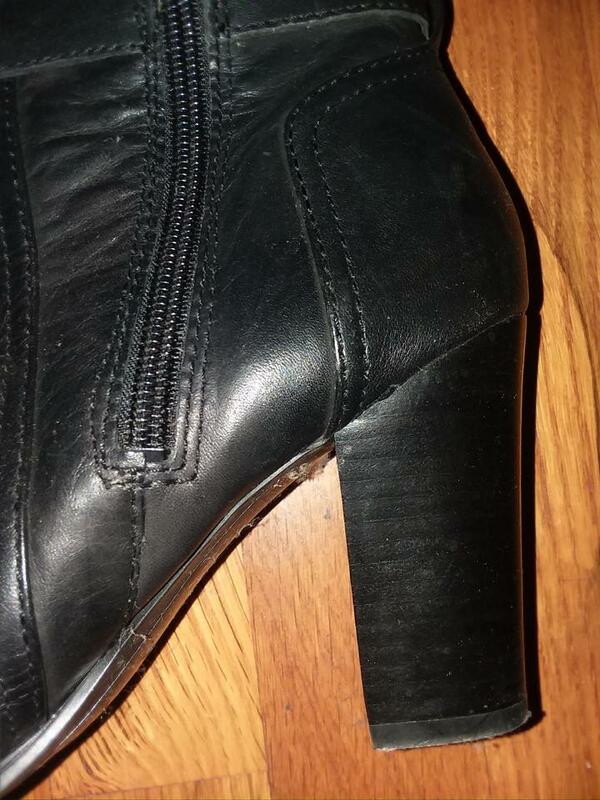 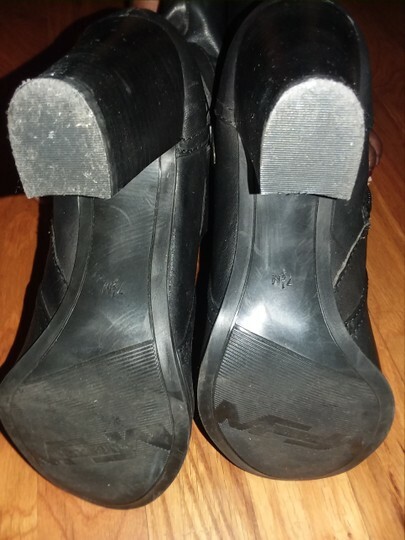 There is very minimal scuffing to the stacked heels, as well as the soles. 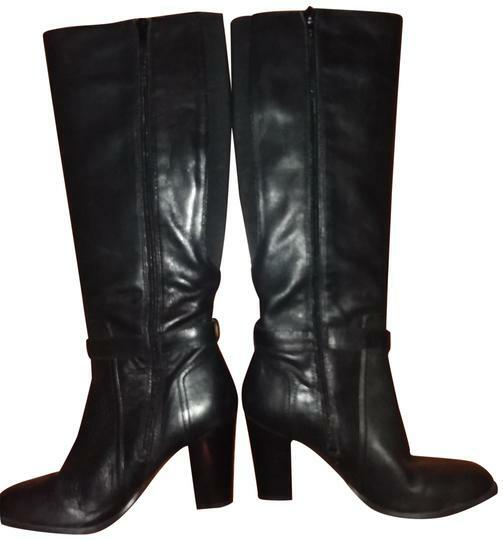 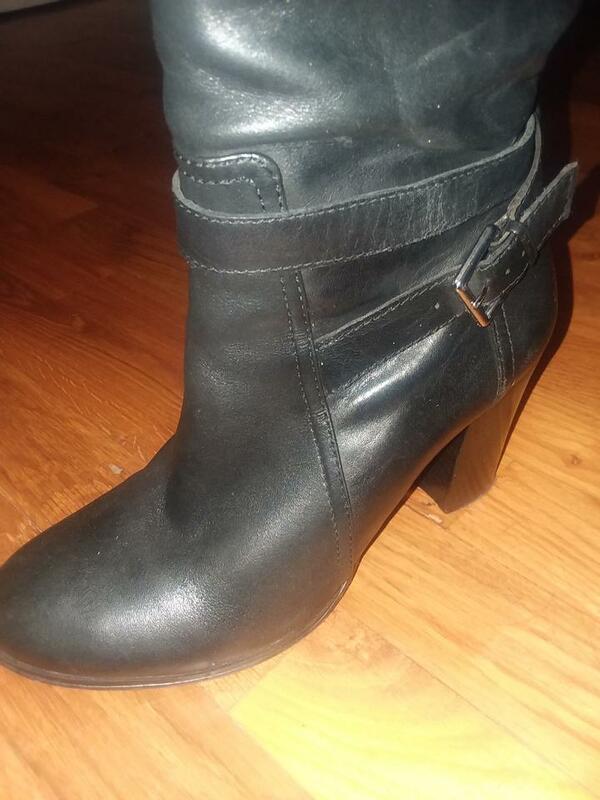 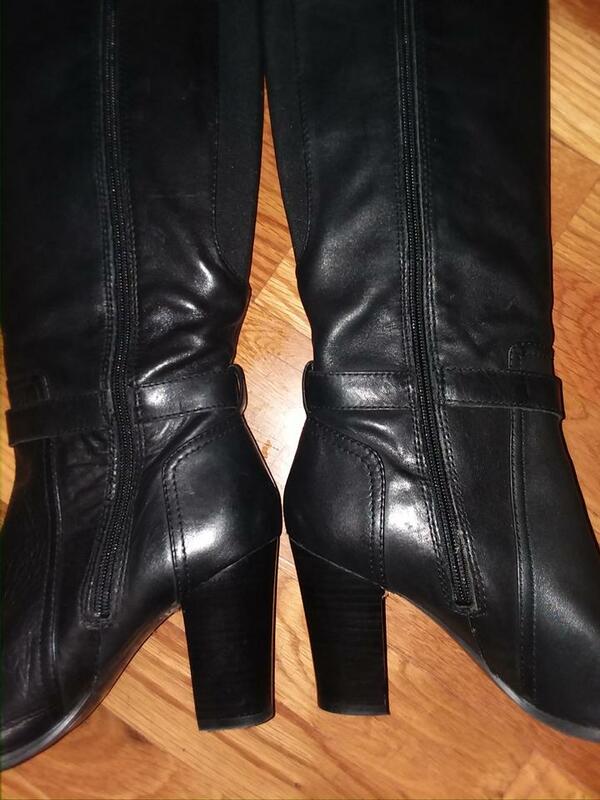 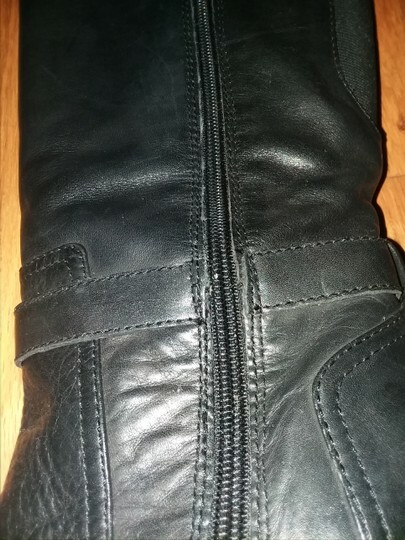 The shafts of the boots are also in great condition. 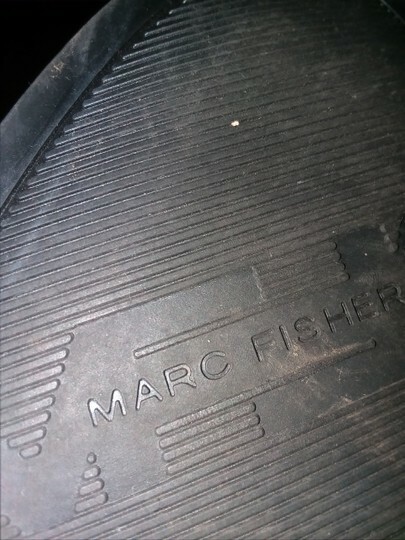 There are a few marks throughout, but only visible upon close inspection. 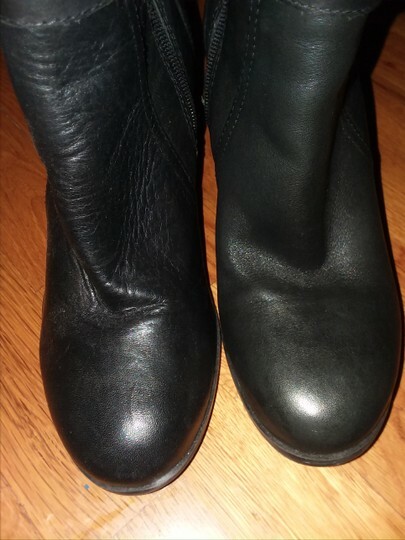 The right boot has a bit more leather creasing than the left, as this shoe was most likely the displayed shoe in-store. Overall, these boots have a lot of wear left.